The Zebra MC9300 ensures for happier faces, better processes and increased productivity wherever it's used in transportation, warehousing and logistics. The MC9300 excites with a large display, an upgradeable Android operating system, a powerful processor, more RAM and Flash memory, NFC, a 7,000 mAh battery and diverse scan engines, including one for capturing Direct Part Marks. 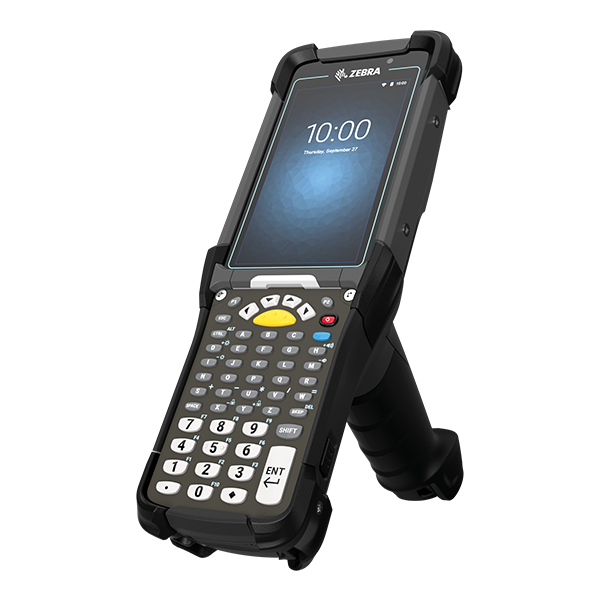 The additional keyboard of the MC9300 enables the use of terminal emulation and Android apps. It is also exchangeable, so in case a key breaks, you simply continue to operate it via the touch display. The MC9300 Series is certified to meet IP65, IP67 and MIL-STD-810G, impact-resistant from 2.4 m and even 95% humidity doesn’t bother it. 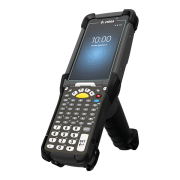 Order the Zebra MC9300 today with your sales representative. Make that call!